Indoor rowing machines are available in different designs and features. They have come a long way, and there are now a variety of sleek, well-refined pieces of workout equipment all set to take your cardio to a whole new level. Owning the best home rowing machines can help you get motivated to do your daily workouts. If you still don't own one, let us help you find the right model not just to help you get fit but also to style up your home gym. 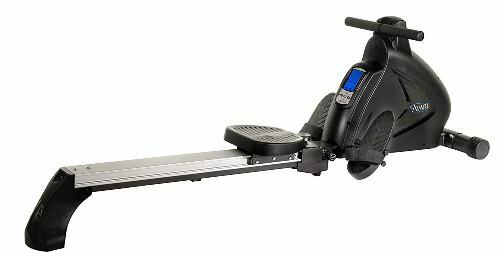 We are aware that most of you are on a budget, so we have reviewed these rowing machines according to their price range, 1) under $300; 2) between $300-$800; and 3) $900 and above. So who is our winner? For those who wants to jump straight to our final verdict, here are our top picks from each price range. We have summarized a comparison table below for your easy reference. 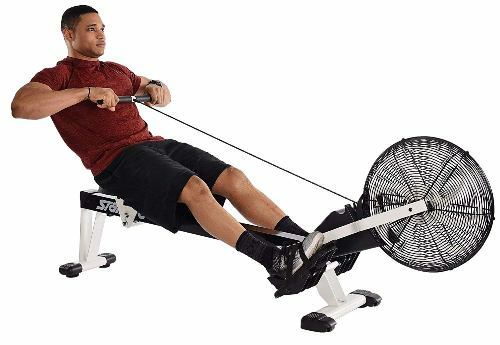 Below, we have listed some of the best rowing machines under $300. However, it is important to note that the positions are in no particular order of importance. All rowers recommended here are considered to be the best for home use. Some models may be preferred by others, therefore, please do read in details, which models may suit you the best. 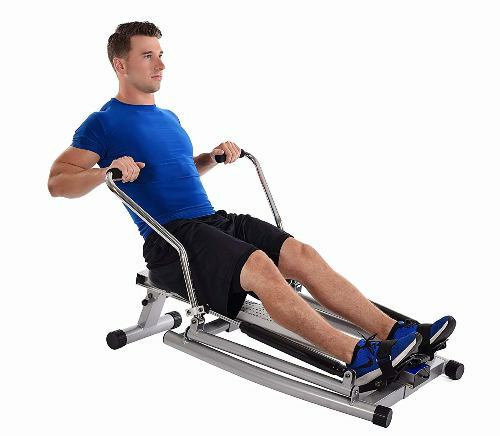 The Stamina ATS Air Rower is one rowing machine with tons of valuable features at a reasonable price. 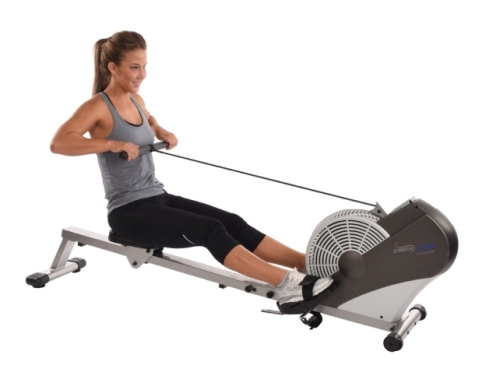 This rower has wind resistance which helps you have a very smooth workout. Storing it is also not a problem since you can fold and you can roll it over to store it on your closet since it has roller wheels attached on it. This makes the Stamina ATS Air Rower very portable. The monitor shows speed, time elapsed, calorie count and stroke count. 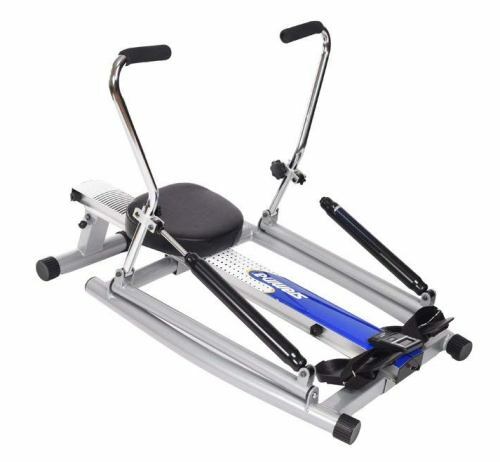 The Stamina ATS Air Rower has a sturdy steel and aluminum frame with solid structure. It comes with a very reasonable price and is easy to assemble within 15 minutes. 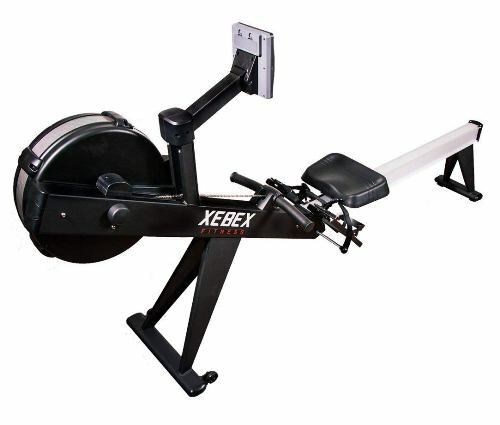 It is the most affordable home rowing machine, with a steel frame and aluminum center beam. Even if it is small in size, it can still perform the same job to obtain good results. Storing the machine is not a problem because of its size. The Stamina Body Trac Glider has manual control knob and gas shock resistance that provides you the freedom to choose the right intensity for your workout. The monitor provides you with detailed and precise feedback about your workouts. This rowing machine has a long gliding track and big foot pedals which make it perfect for taller rowers. It can accommodate up to 6’6” rowers without any problem. Shorter rowers also have no issue using the rower. The only problem they encounter is that their feet slip out of the foot pedals. Hydraulic-piston has the tendency to leak. 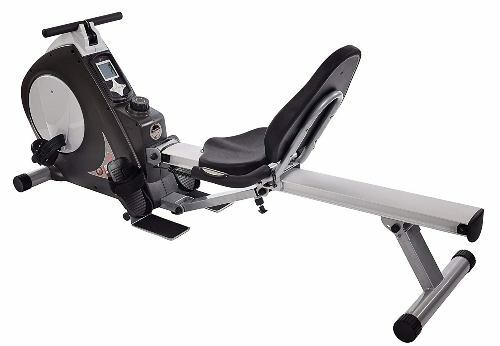 The Stamina 1215 Orbital Rower is an affordable rower that has made its way into many of home gyms all over the world. 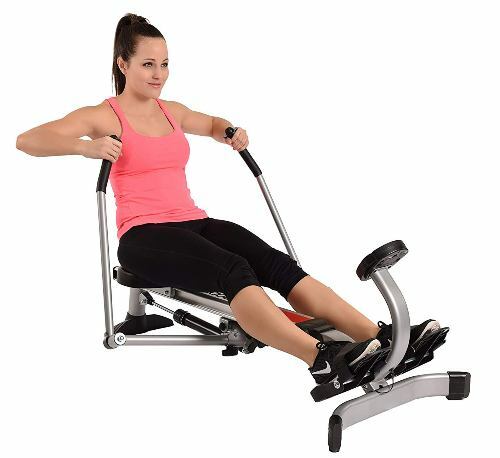 This machine is equipped with Free Motion Arms that enable the user to hit all essential upper body muscles like abs, arms, back, and shoulder. The padded seat slides on a ball-bearing to work on the lower body. This rowing machine is toning muscles and burning fats while getting an impressive cardio workout. Even with a low-impact exercise, you will still get the best of all fitness worlds. It has a nice compact footprint and easy to store. At 4 feet long it is not recommended for taller rowers. The machine only weighs around 52 lbs. and it folds up to 10 inches tall so it will be easy to store. This rowing machine is recommended for small apartments and offices. You can easily store it under your desk and take it out during break time to do your workouts. If you want a rowing machine with the smart track to help you achieve your fitness goal at home, Sunny Health & Fitness Incline Machine Rower is a perfect choice. The machine comes with a digital exercise meter that can track your daily progress and motivate you to achieve your personal fitness goal. It is uniquely designed with an integrated fan resistance system to react with every move. As you move faster, the fan will respond by spinning faster that increases the resistance which leads to a more effective workout. The Sunny Health & Fitness Incline comes with an 8 level tension system to increase the resistance. You can adjust it according to your needs. Before buying check out the specifications of this machine. 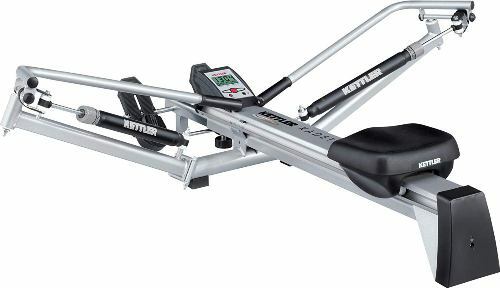 Stamina 1205 Precision Rower is yet another hydraulic-piston resistance rower that comes with a great price. It is relatively compact, which is a good feature particularly when it comes to storage. It has a sturdy frame, and the handles can be easily adjusted to fit the user's preferences. Because of this, the machine is the perfect choice for individuals who prefer to have more control on their workouts. The Stamina 1205 imitates the smooth movement of rowing on the water. It has a padded seat for comfortable gliding on a ball bearing roller system. The machine has comfortable foam grips to keep your hands stable. The frame is solid that weighs only 47 pounds. In spite of being lightweight, the rowing machine is durable and can accommodate up to 250 lbs. If you have plans of prolonging your workouts, this rower has a comfortable seat. The console is impressive for a machine of this class. 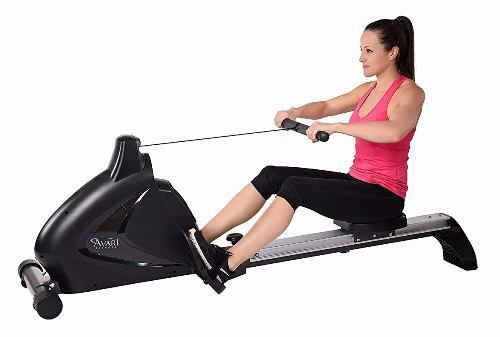 Below, we have listed some of the best rowing machines between the price range of $300 - $800. 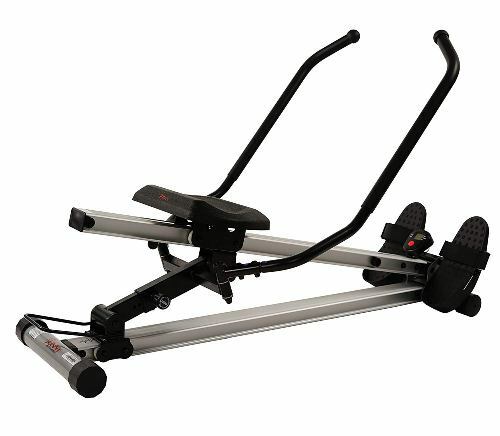 This Sunny Magnetic Rowing Machine provides all that you need for a fantastic cardiovascular workout for a home gym. It offers 8 level tension knob to adjust the intensity of your workout. With just an easy switch you can decrease or increase magnetic resistance so your exercises will be as challenging and effective as you want it. 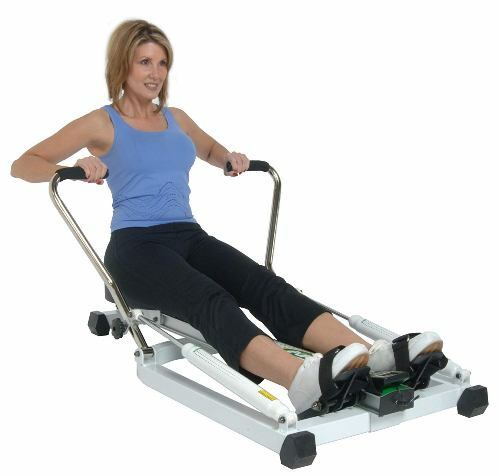 The machine features large pedals with safety straps to provide the rower security and non-slip surface. The stability is impressive no matter how intense your performance level is. 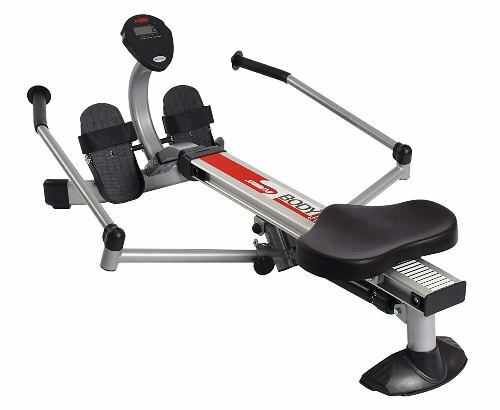 This rowing machine has a comfortable cushioned seat for a comfy rowing experience. The machine also has a convenient LCD monitor that shows essential stats, so you are aware if you are achieving great results. Sunny Magnetic Rowing Machine has eight different resistance levels. The center panel can be adjusted by turning the knob. 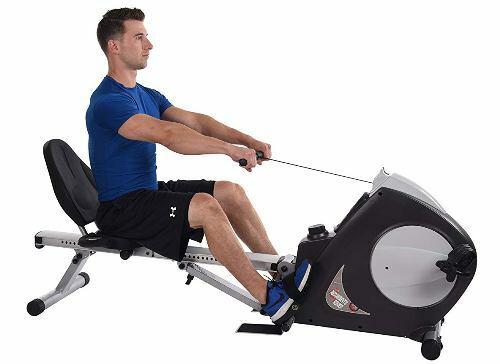 This rowing machine offers a realistic rowing movement while providing total body workouts. Kettler Kadett is equipped with great features like LCD digital display, durable rails, and wide comfortable seat. It has an earlobe heart rate monitor, and it can be upgraded to a chest strap monitor. This machine comes with a lifetime warranty on its frame and three years on its parts. The rowing arms outrigger style can be folded down in seconds which makes it easy to store underneath your bed or inside your coat closet. Its outrigger design makes it wider than usual hydraulic piston rowers but remains compact. The primary objective of the manufacturer of Stamina X Air Rower is to provide quality rower that can keep the fitness-minded people satisfied at an affordable price. At a price under $500, this rowing machine offers features that you can’t find in other expensive machines. Assembling the machine is easy, and most users can attest to this. The package includes an easy-to-follow instructional manual. Buyers of this machine will appreciate the diagrams included in the assembly process. Setting up usually takes 15 minutes according to manufacturers. Also included in the package are different tools needed in assembling the Stamina X Air. The tools are easy to use even if it is your first time to use them. As compared to large bulky rowers that take up a lot of floor space, this machine is very easy to fold for storage. Recommended for athletes who are living in an apartment. Another good feature of this machine is that you can easily move it. The Stamina Avari Magnetic Rower is monitor controlled by moving a magnet farther or closer from the metal flywheel. When the user pulls the handle, the metal flywheel starts to spin. The closer the magnet to the flywheel, the more resistance the rower feels. The farther the magnet, the less resistance. This type of resistance is adjustable since the user needs to press the button on the monitor to change the resistance up or down. It does not matter how fast or slow the user rows; they will experience the same resistance. This magnetic rowing machine has less noise and is ideal for those who are not allowed to create noise. It is one quality that most users love magnetic resistance. For rowers who prefer to row slowly, but want to feel strong resistance, will likewise like the Stamina Avari. For people who are in search of a multi-functional piece of equipment that concentrates on most of the body with an impressive workout. 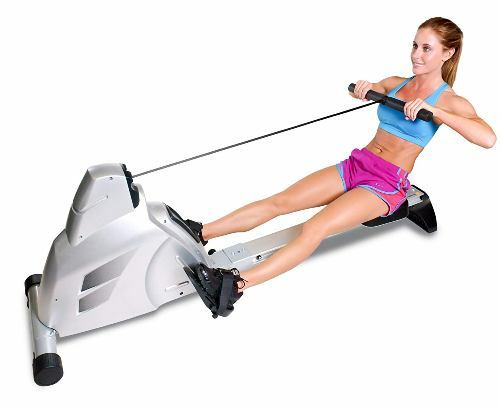 The Stamina Conversion II Recumbent Rower has cabled bar which can be used as a pulley for doing shoulder raises and bicep curls. You will have a complete body workout and target most of the muscle groups. 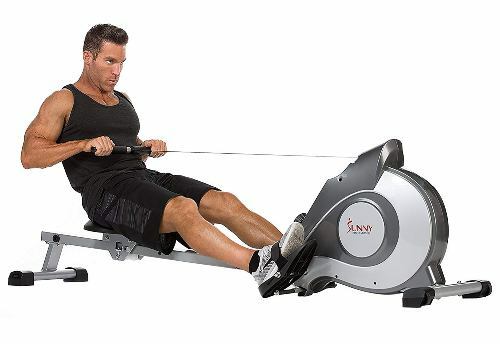 This rowing machine will also help you achieve peak cardiovascular strength and fitness. It enables you to maintain two low-impact, great aerobic routines with only one station in the comfort of your home. Also, it has the technology you are looking for and keeps you motivated to ride and row. If you have this machine at home, you don’t need to go to the gym because you can have a total-body workout. This super-quiet recumbent workout bike has a semi-reclined position that is made to tone your lower body. 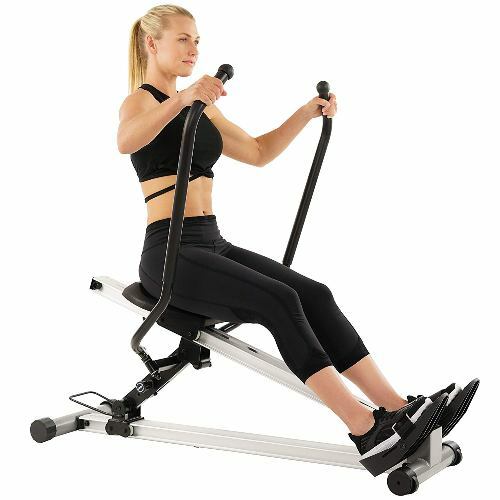 The Velocity Exercise is the leading magnetic rowing machine that offers a high-end, drum magnetic control system that provides electronic tension control and high-end resistance. It gives a complete body workout right in the comfort of your home. This machine is designed with an anodized aluminum frame that is built to withstand many years of regular use. Upon searching, we have found it that it was once called the Proteus PMR 3000. Velocity Exercise Rowing Machine is designed with the end-user in mind. Thus it ensures that it will last longer. The double-bearings lessen the wear and tear on the machine's bearings, which makes it very durable. It is recommended for intense use. This is worth buying for considering the quality and durability. Velocity is designed for complete body workout with built-in monitor and LCD display important stats like calories, strokes per minute, pulse, distance and time. It can be programmed to boost your fitness. The machine has 12 programs with 6 pre-set options and manual options. 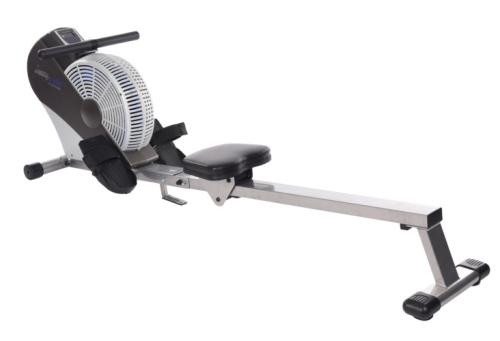 Below, we have listed some of the best premium and fully-featured rowing machines above $900. This rowing machine revolutionized the way people work out at home. 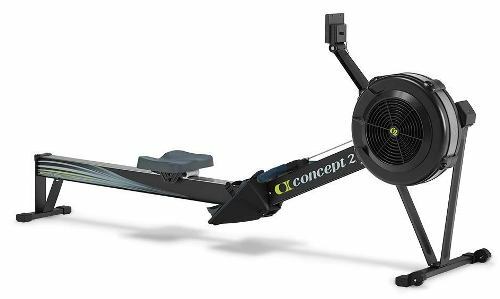 Concept2 Model D Rowing Machine is versatile and powerful, providing excellent results for all the users, from starters to professional athletes. The machine offers a complete body/low-impact workout. It works on your arms, core, and legs simultaneously, so you burn calories and build muscles at the same time. Concept2 makes your routine simple without feeling mundane and still, you get all the benefits. For those with knee or joint pains including those with a limited range of motion, this is the recommended machine since it is a low-impact workout regimen. You can sweat and engage yourself in challenging workout without worrying about wear and tear on your body. The machine’s flywheel provides a smooth resistance that enables you to exercise continuously without halting or jerking motion every time you pull. It operates quietly, so it won’t disturb anyone which makes it easy to do your workouts night or day. This is recommended for those who work long or odd hours. This fan rower is known for its quality and durability. 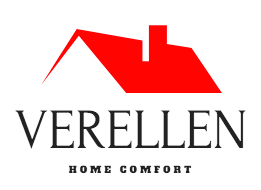 It is designed for home use and is built to last longer. The machine’s damper setting lets you change resistance from 1-10. Lower levels imitate water rowing near the surface with minimal resistance. If you set the damper to level 10, you will experience a deep water row and provides a more challenging workout. Getting on and off the machine is easy because its stable base sits almost 2 inches off the ground. It is also equipped with a comfortable padded seat so the user can row longer with ease. The handle is padded in foam-rubber for comfortable use. With each pull of the chain, the row becomes smoother. Folding and storing is also not a problem. Once you are done with your workouts, you can pull the pin on the rail, fold and keep the machine in its storage area. This rowing machine has an attractive wooden bench and equipped with an S4 advanced monitor. At first glance, people thought of this as a home decoration. It is made from black walnut wood with Danish oil finished to produce a lovely rich brown color to black-purple shade. The hardwood used in manufacturing this machine was harvested from the forest of Appalachian Mountains and is utilized to decrease vibration and sound and to increase longevity. With the S4 monitor, the users can track and read the data needed to get a total rowing workout. The machine also has a water flywheel design that lets you experience and feels one of the smoothest rowing motions for rowers at home. 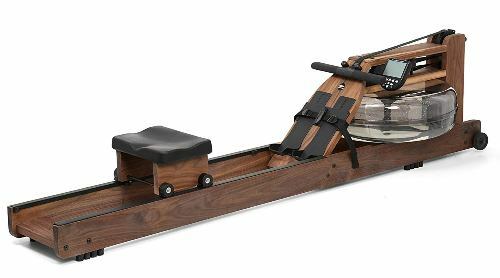 Aside from the Water Rower Classic Rowing Machine, the Natural Rowing Machine also has the most aesthetically pleasing rowers in the market today. 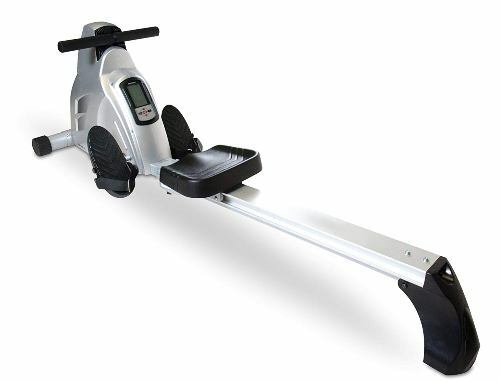 It is also one of the best performing rowing machines. This machine is called natural because of its stained honey oak and solid ash wood construction material. One of its impressive features is the S4 monitor. 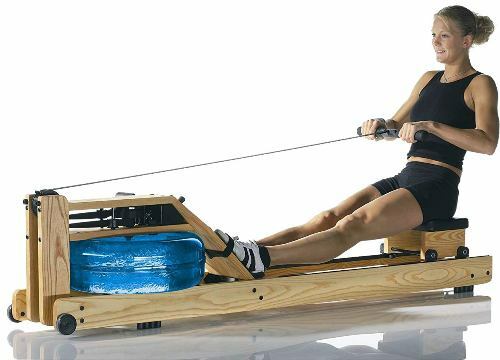 The machine offers the most realistic water rowing experience without annoying sound. It is also very sturdy and can support weight up to 1000 lbs. This rowing machine is water resistance rower. The machine’s paddles or water flywheel suspended in the water tank to produce the right resistance. When the user pulls the rowing handle, the paddles spins in the water tank. It should displace the water which creates resistance. This means that the faster you row, the faster the paddles spin, more water will be displaced and the harder the resistance it will be. This is known as variable resistance since there are no adjustments. If you want to feel more resistance, row faster and vice versa. 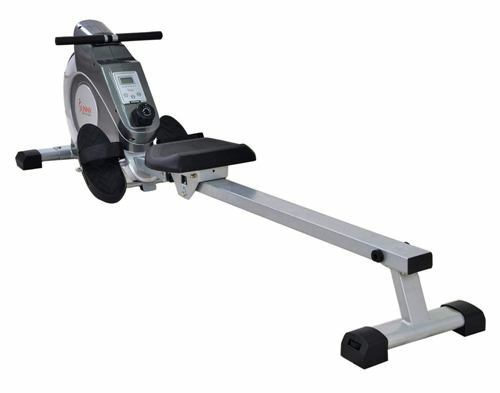 This rowing machine is one of the stunning machines in the market today. It is a combination of functionality and style. The machine is handcrafted from solid cherry wood having a Danish oil finish and is made of high-quality materials. It is indeed a work of art. 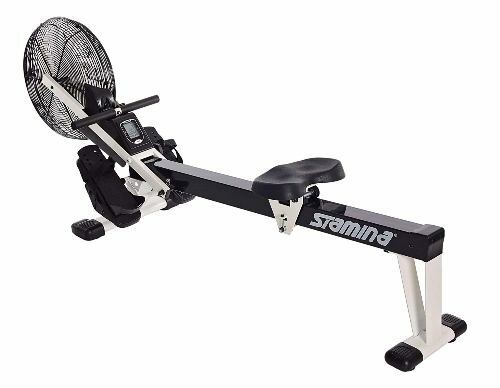 If you are looking for a realistic rowing experience, this is the rowing machine to trust. It is durable and easy to store recommended to all rowers of various sizes and fitness levels. The Water Rower Oxbridge Rowing Machine also features the S4 Monitor. The machine uses paddles suspended in the water tank or a water flywheel to produce resistance. Once the user pulls the handle, it makes the paddles spin into the water tank, thus producing resistance. 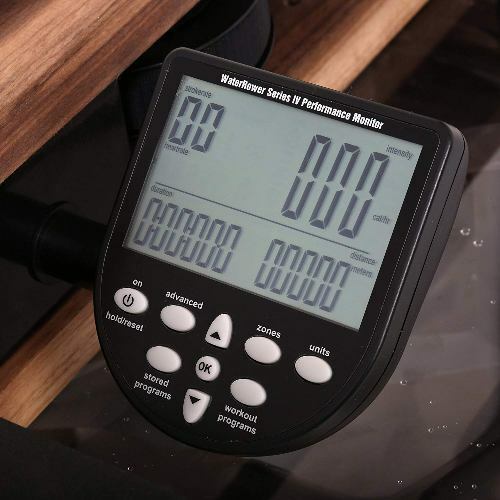 The resistance level of this machine is determined by the user's rowing intensity, which differs from how resistance is achieved on a magnetic and hydraulic piston rowers. If you row faster, the resistance level increases and vice versa. It depends on you how quickly you want to row. To make it easier for you to decide which rowing machine to choose, you have to consider these factors. Air resistance is the most common. It uses a flywheel driven by pulling the chain while rowing. Water resistance, on the other hand, uses a propeller-like flywheel that spins in the water tank situated at the front of the rower. Magnetic resistance operates silently, needs less maintenance and does not use up huge space. Hydraulic resistance has pistons in the handles that produces resistance. Find a machine with a seat that glides smoothly over the track and with solid construction. Basic rowing machines display primary data like distance, time and calories, while sophisticated computers display specific and more accurate data. Choose a machine that is comfortable to use and will not add difficulty to your already grueling workout. If you have limited space, choose a rowing machine that will not use up huge spaces and can be stored easily. This factor will depend on the user's preference. If you are not bothered by the sound of the fan, then you can choose the air resistance. But if you prefer the one that produces less noise the water resistance is a good option. 1.Is rowing machine the best workout? A rowing machine provides the best workout. It will activate your lower and upper body muscles alongside the core ones. 2.Can you lose belly fat on a rowing machine? A rowing machine won’t help you with losing belly fat. 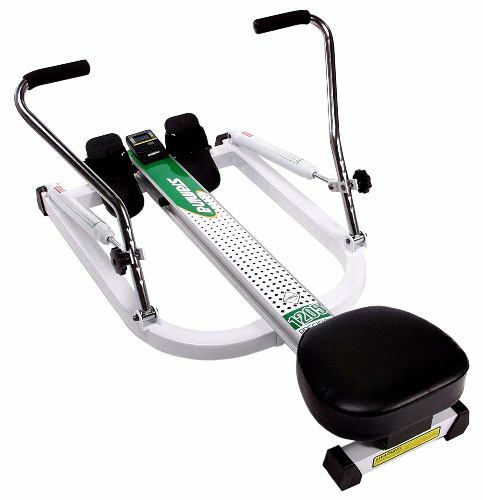 It is a low-intensity workout machine which is used for stamina and strength. 3.How long should you row on a rowing machine? 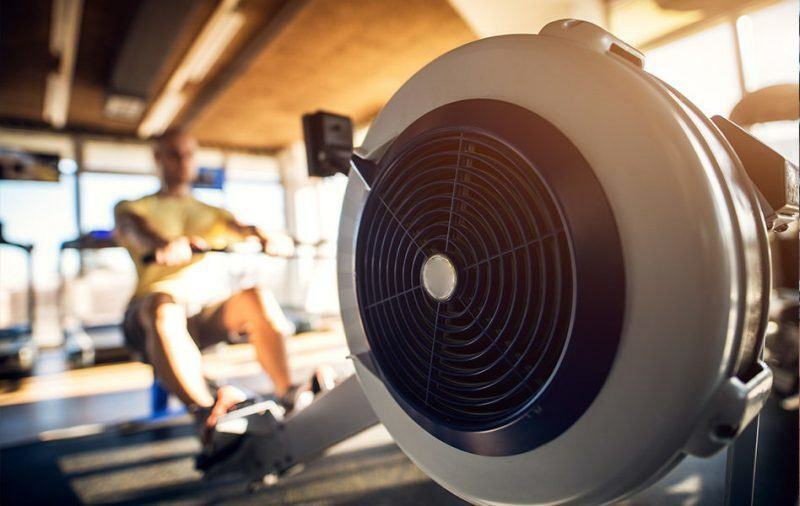 You should row up to 30 minutes on a rowing machine. 15 minutes are ideal to start with, but 30 minutes provide much better benefits. 4.Is a rowing machine better than a treadmill? A rowing machine and a treadmill are completely different pieces of gym equipment. Rowing machines use the entire body, treadmills use lower part. In this review on the best home rowing machines, we have divided the rowing machines based on their price. If you are looking for quality but at an affordable price, the Stamina ATS Air Rower is what you need. This provides the best value for your money. It comes with essential features that will help you achieve your goal. Upon assessing the different features of the above-mentioned rowing machines, we find Sunny Health & Fitness Magnetic SF-RW5515 as the best choice. At a price below $800 but with features similar to the ones that cost above $1000, you will evidently satisfied with Sunny Health & Fitness Magnetic. But our premium choice is the Concept2 Model D Rowing Machine; it is like 3 machines in one. It works not just on your upper body but your lower body as well. The Concept2 Model has advanced features most users will surely love. The most important thing is to get a rowing machine that fits your budget and provide the result you want. It is also best if you can get the one that offers a longer warranty. If you find this review helpful to you, feel free to share this with others, or you can comment below. Great article thanks for sharing – my favorite is the Concept2, reliable & built to last! Out of the Stamina and Sunny Health which would you choose if price wasn’t an option? I like the concept2 the most too. If I were to choose between Stamina and Sunny Health, I will prefer Sunny Health over the Stamina ATS due to its more comfortable seat.